Jeff Bezos of Amazon has a space exploration company if you’ve never heard called ‘Blue Origin.’ They just sent their New Shepard space ship to space reaching an altitude of 100.5 kilometers or 329,839 feet. The Shepard returned back to Earth making an Amazing Historic Landing back at it’s launch site in Western Texas. Here is footage of the Space X Falcon 9 rocket crash landing on a floating barge in the Atlantic Ocean. The Falcon 9 rocket was launched last week to the International Space Station carrying supplies. Elon Musk has been attempting to have the rockets do vertical landings on return so the rockets could be reusable. Many of the other landings have been successful, but this one was just a little bit more technical. Here is video footage of Governor Brian Sandoval of Nevada & Elon Musk announcing that the Huge Lithium-Ion Battery Gigafactory will be built in the Reno area of Nevada. Elon Musk describes that the Gigafactory will be larger than all the Lithium-ion factories in the whole world ‘combined.’ This is a Huge investment for Elon Musk, where the Gigafactory has a price tag of around 5 billion dollars. 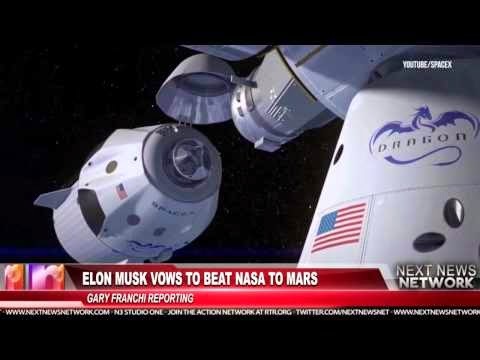 Mayor Tony Martinez of Brownsville Texas talks to Bloomberg about Elon Musk’s plans to build a SpaceX launching facility in the town, giving it the new name “Rocket City.” The New SpaceX facility will create over 500 new jobs in the area. Brownsville, Texas is located on the boarder of Texas and Mexico with a population of around 200 thousand people. The Mayor expects the first launches within the next 2 years. 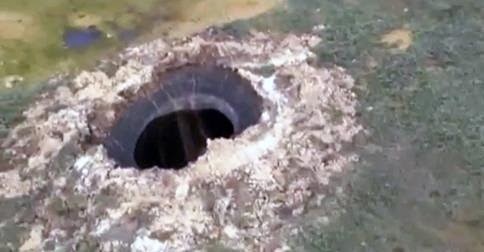 An impressive bottomless crater has been discovered by helicopter pilots flying over the Yamal Peninsula in Western Siberia, Russia. Due to its size and shape, it seems that the mysterious crater may have been formed by a massive meteorite impact. I say meteorite, tell me what you think below. 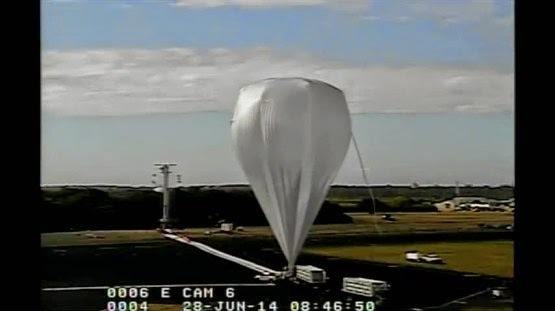 Watch this footage of NASA;s Low-Density Supersonic Decelerator was successfully launched on a helium balloon today at the U.S. Navy’s Pacific Missile Range Facility in Kauai, Hawaii. 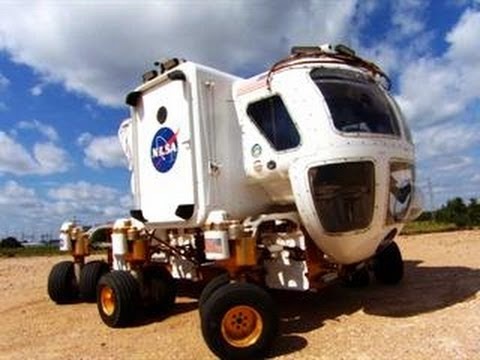 This is technology that NASA is testing for future landings on Mars. NASA plans for the next launch of the LDSD to be released at 120,000 feet and fire a Star 48B rocket motor to boost it to Mach 4.0 and 180,000 feet. This height and speed simulates a spacecraft flying through the Martian atmosphere and is where the air breaking systems will be tested on the LDSD vehicle. 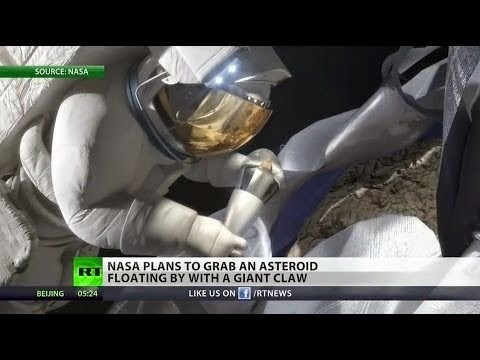 RT America shows in detail how NASA plans to capture an Asteroid using a giant claw. This is one of a few possible methods that NASA plans to implement. The have planned other ways to trap the asteroid in the moon’s orbit, so they can use it for further study. RT’s Manila Chan takes a look at their available options.